Upon arrival at calicut airport meet our representative and transfer to hotel. Afternoonproceed for local sightseeing in around the calicut - the traditional capital of Northern Kerala under the Samuthiri rule. The sightseeing attractions in this legedary city include Calicute beach, Thali Temple, Kappad beach, Pazhassiraha Museum and Beypore Beach. Overnight stay at Hotel. After breakfast check out from hotel and transfer to Wayanad (90km/03hrs) on arrival check in to the hotel. Spend the day at Leisure. Overnight stay at Wayanad. 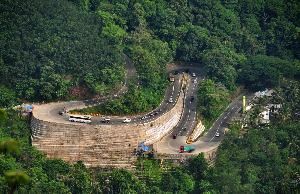 After breakfast proceed for local sightseeing of Wayanad. Set at an altitude of 700-2100 m above sea level. 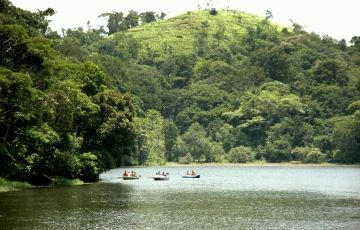 Wayanad is one of the districts in Kerala that has been able to retain its pristine nature. The fast-flowing rivers - Panamaram, Mananthavady and Kabini add to the beauty of this region. 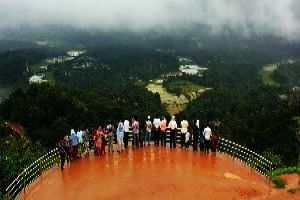 Sightseeing attractions in Wayanad include Pookoda Lake, Lakkadi, Kuruva Island and Edakkal Cave. Overnight stay at Wayanad. After breakfast check out from the hotel and drive to Coorg (120 km / 04 hrs), On arrival check in to the hotel. 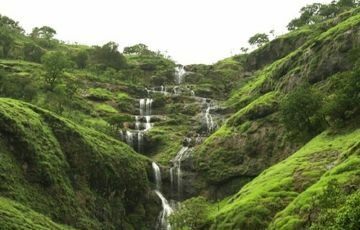 Evening proceed to visit Abbi waterfalls, then to Omkareshwara Temple - a temple having both Islamic and Gothic style of architecture. Then proceed to Raja Seat - a seasonal garden of flowers and artificial fountains. You can view the beautiful view of mountains of Cooreg from here. Return to the hotel and overnight stay at Coorg. Morning after breakfast proceed for full day sightseeing at Coorg, visit Harangi Dam - Dam built across the tributary of river Kaveri near Kushalnagar, Iruppu Falls - A water fall with picturesque surroundings, Dubare - Elephant training camp and Nagarhole National Park - Tiger reserve and Tibetan Temple. Overnight stay at Coorg. After breakfast check out from hotel and transfer to Mysore. 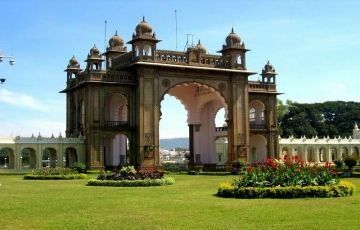 ‘The Cultural Capital of Karnataka’-Mysore. (120kms) On arrival at Mysore, check in to hotel. 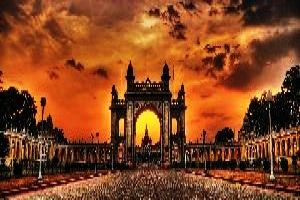 Afternoon Visit Tippu’s Summer palace, St. Philomena’s church and world famous Mysore Palace and Brindavan Gardens. Overnight stay hotel at Mysore. After breakfast check out from hotel and transfer to Bangalore Airport / Railway station. Enroute visit Srirangapatnam - the 18th Century summer palace of Tipu Sultan, Later transfer to Bangalore Airport in time to connect your flight / Train for onward Journey. Depart with sweet memories. » Terms : 60% cost accommodation & transfer against placement of order balance 40% on receipt of Confirmation. It was really very nice tour conducted by sunbird journey. Thank u very much for all the arrengement.